NTV and Citizen TV Stations are in a quest to cement their Swahili team of presenters after poaching journalists from different TV stations. Both media houses unveiled their new team of presenters and netizens are not missing the underlying competition between the media houses. 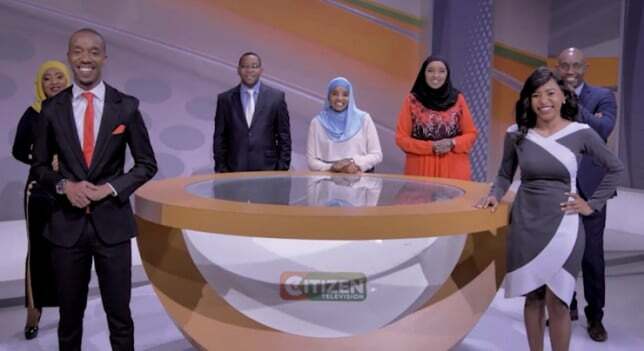 NTV unveiled their new team comprising of Jane Ngoiri, Harith Salim, Dan Mule, Salim Swaleh, Doreen Gatwiri Majala and new faces Kaltun Jama and Nuru Abdulaziz. Citizen TV launched their promotion video which revealed that presenter, Lulu Hassan will now be hosting Citizen Wikendi with her husband Rashid Abdalla, replacing now Deputy Government spokesperson Kanze Dena. Veteran Swahili presenter, Ann Ngugi urged journalists not to follow the money but to go where they will learn and grow their skills. “Neither money nor fame can make you a better journalist,” she said. The promotion videos have elicited different reactions but Kenyans are looking forward to seeing how the two will work together on TV. Team ya nguvu, i would love yo see the couples @LuluHassan and @RashidAbdalla together with Bi mswafari. ?? ?